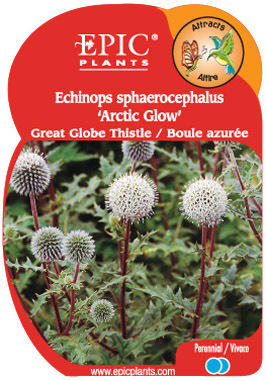 Tall red stems carry white flowers in a globe-like cluster. Excellent fresh or dried. Silvery foliage appears more prickly that it actually is.